Altuve joins Craig Biggio as the only Astros to win five Silver Slugger Awards, the top offensive honor in Major League Baseball. 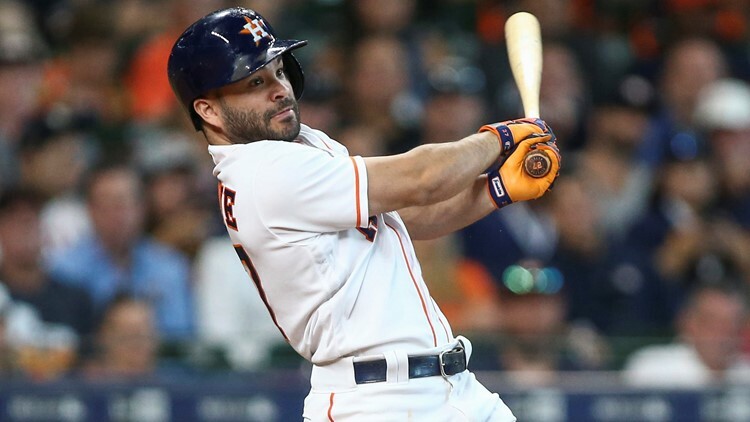 HOUSTON - The Houston Astros’ Jose Altuve won a Silver Slugger Award Wednesday, his fifth-consecutive Silver Slugger of his career. The second baseman hit .316 this season with 29 doubles, 13 home runs, 61 RBI and 17 stolen bases. He recorded a .837 OPS in 137 games. Altuve played in his sixth All-Star Game and ranked first in batting average, OBP and slugging among American League second basemen. He also ranked second among them in hits and runs scored, as well as third in stolen bases. Altuve is the second second baseman to win five-straight Silver Slugger Awards since the honor was conceived in 1980. He joins Ryne Sandberg, who won seven Silver Sluggers in his career, including five in a row from 1988 to 1992. Before Altuve, the last player at any position to win five consecutive Silver Sluggers was outfielder Mike Trout from 2012 to 2016.